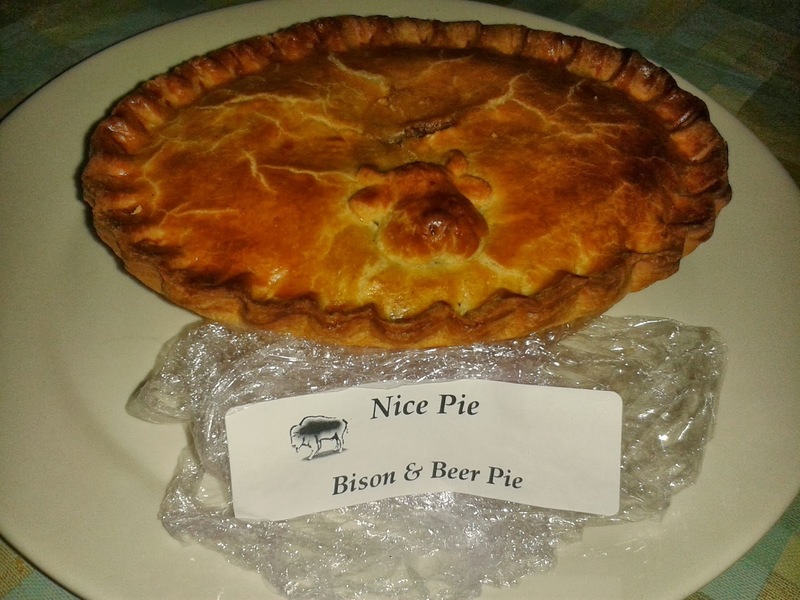 Up stepped the meaty Bison Pie we’d been given from Nice Pie. And quite a whopper it was! Certainly a sharing pie, at £5.50 this is good value for a pie for two and I ate half for my lunch and then the other half for my supper. Good flavour, lovely tender Bison meat and a very good pastry somehow holding all this meaty content in! The full review will be coming soon. While Pierateer RAS is currently volunteering at the NIA in Birmingham at the All England Badminton Championships, he is of course still on the lookout for pies. 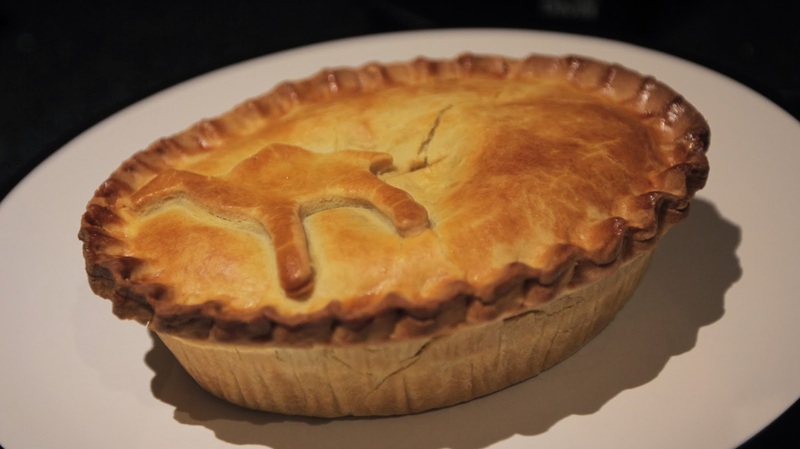 Those who followed our British Pie Week exploits from 2013 will know the NIA caterers sometimes have pie on the menu and Pierateer RAS was delighted to see a Chicken and Leek pie on the menu today. He was less enthused when he saw it was a top crust but it did still taste quite nice. - Pierateer TJP cooked and attempted to eat a python pie (as per his Pie Pledge). I say attempted, because I didn't get very far through the pie before gagging and having to down several glasses of water. You can read the full experience and how to not make a python pie here! - He also rounded the day off with a delicious camel pie from Nice Pie. The review will be coming soon, but he was very impressed with the tenderness of the meat.